It’s easy to pick out foods and drinks that aren’t the best for our oral health—cookies, sweets and fizzy drinks are often a no-no when it comes to healthy, happy teeth. But can you name foods that are good for the body and your teeth, too? Plant-based foods are a great option when it comes to incorporating nutrient-rich foods that are good for yourself (and your teeth). See if you can add a little flavour and colour to your diet with these natural, teeth-friendly foods! 1. Cucumber. This crunchy vegetable is great for helping to rid your mouth of unwanted debris. Made of mostly water, cucumbers aren’t especially sweet, either. 2. Parsley. Did you know that parsley contains eugenol, which has antiseptic qualities? Make parsley more than just a garnish on your plate. 3. Strawberries. High in malic acid, strawberries can provide a subtle whitening effect. 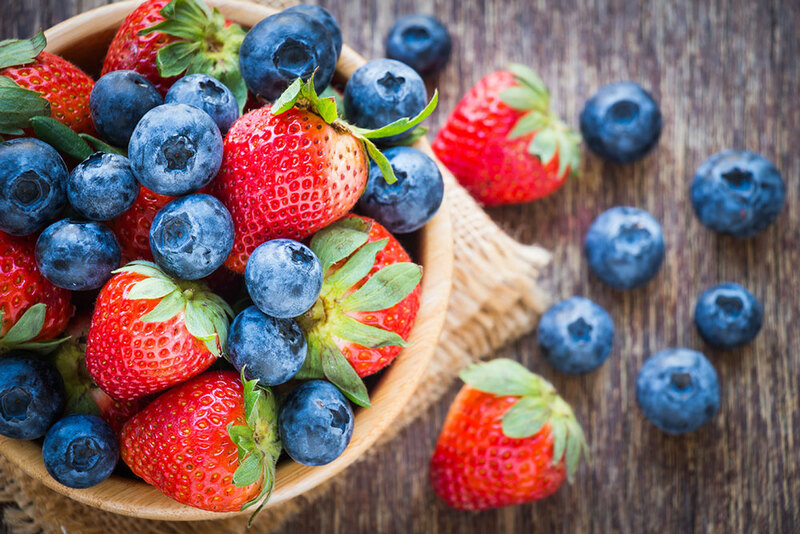 Remember to brush after consuming these sweet berries as they’re high in natural sugar, too. 4. Carrots. High in nutrients, carrots can aid in the production of saliva, helping to wash away debris left behind after eating. Add more carrots to your diet by tossing them in a soup or salad. 5. Onion. You’ll have to get over “onion” breath, as they’re actually a great food for your teeth when it comes to preventing tooth decay. Do you have a favourite food that’s great for your oral and overall health? Leave a comment to let us know.